Look at the first picture!! "Oh~~ it's typical japanese meal~ boring boring~=__="
Look at the center of the natto!! 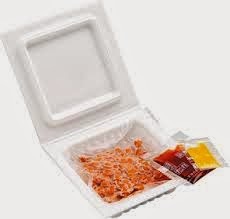 That say like "Open the cover and split the cover like the picture." 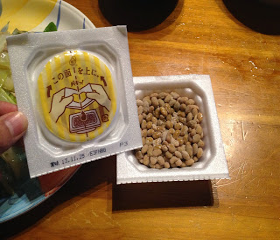 This is the typical natto package. Eat Natto and Be genki!! !